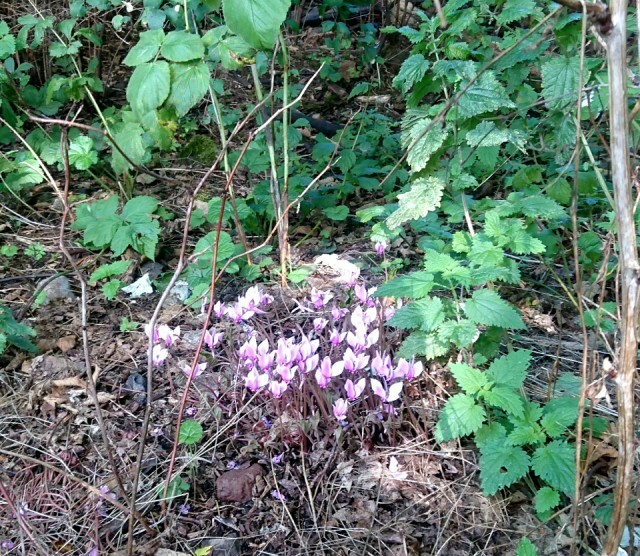 Lovely little clump of cyclamen growing wild by the cycle track at Craigleith. There were another couple just a little further down the path. A welcome spot of colour. We benefited from living by the Raj Indian restaurant when Tommy Miah invited us to join him in celebrating the restaurant's 2nd birthday with a free meal which was a fundraiser for St Columba's hospice. Delicious range of street food which doesn't usually make it onto the menu. Thank you Tommy, I hope the hospice did well, it's been such a boon for so many people.